CHEERING? YOU WERE A CHEERLEADER? Even this ever good-girl was not a cheerleader. Thanks for teh giggle. 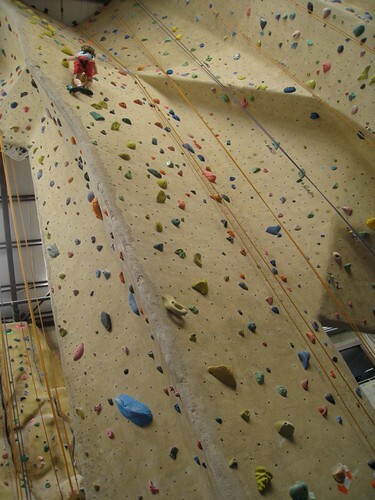 E recently went rock climbing with her Brownie troop and it was much the same (although I believe she is more in the "gooey muscles" category than the "natural athlete" category).